"It's really hard to have a focused thought nowadays, right? There's a lot of stuff going on," says LA-based producer Daedelus, sitting on the Amoeba Hollywood couch with friend and fellow DJ/producer The Gaslamp Killer. Daedelus is praising electronic legend Aphex Twin on his new EP, Cheetah, which he describes as a "very focused thought." Daedelus and The Gaslamp Killer both grabbed healthy stacks of records on their recent visit to the shop, but they employed two very different strategies: digging for unknown treasure and upgrading known favorites to vinyl. The Gaslamp Killer and Daedelus are driving forces in the LA alternative hip-hop and electronica scenes. The two first collaborated on a 2010 7" by The Gaslamp Killer which featured the Daedelus-starrer "Impulse." Originally hailing from San Diego, The Gaslamp Killer was born William Benjamin Bensussen. After cutting his teeth in the bars of the city's Gaslamp District, he relocated to LA and co-founded the legendary Low End Theory club night. His profile as a producer grew with the release of a handful of EPs for Flying Lotus' Brainfeeder label. His 2012 debut full-length, Breakthrough, featured appearances from GonjaSufi, Daedelus, Samiyam, Shigeto, and Miguel Atwood-Ferguson. His studio follow-up, Instrumentalepathy, was released in November 2016. We've tallied up our top sellers for the year at Amoeba Hollywood and Amoeba.com, including CDs, vinyl and downloads. Take a look below at what Amoeba shoppers picked up in 2014. 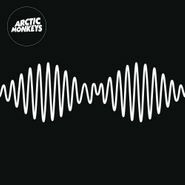 Arctic Monkeys megahit fifth LP from 2013 continued selling right into 2014 on the strength of hits like "Snap Out of It." 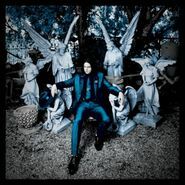 Jack White's experimentally bluesy second album helped his legion of fans grow larger by the day.